We bring the beautiful and eye-catching appeal of nature into your space, be it residential or commercial, with our wide range of stunning floral tiles. Our unlimited range of varied mixture of designs and a large selection of flower tiles sizes are guaranteed to give you a perfect look for your home’s interior. Florals have become a favourite among interior house decorators and homeowners who wish to add style to their house. From delicate, astounding patterns to bold prints and sedate patterns of the Victorian and Edwardian era, patterned floral tiles have taken over the tile industry. By installing a new set of decorative feature tiles, you’re sure to transform a plain and boring space into a beautiful, eye-catching haven that both you and your guests will love spending quality time in. To better appreciate how we arrived at these wondrous types of tiles, it is vital we consider how floral tiles started. Floral designs started in ancient Egypt around 2800-28 BC where sculptors worked together with florists to create artworks and sculptured designs that had the pattern of flowers and other beautiful plant parts. However, these flower arrangements were a luxury only used by the royal and elite classes of that time. The Greeks and Romans also utilised the works of florists and sculptors which is shown in many of their sculptures to date. The Romans who were concerned with opulence and excess made lavish displays of roses and violets and utilised new and exotic flowers like oleander, crocus, etc. in their works. Chinese and Japanese were not left out as they were known for making floral vases in the middle ages. These decorative vases gained popularity and are still being used to date. These trends continued until the 1900s when flowers were used as inspirations for the creation of vases, wall designs, tiles, etc. Today, with the advancement of technology and design processes, we have amazing floral floor and wall tiles that bring a type of rare stylishness and beauty no other form of tile can bring to your home. Flower tiles design has been used for thousands of years by builders as a way of providing residential and commercial buildings with impressive flooring benefits in both appearance and durability. Luxurious tile flooring, especially with the flower tiles, gives a significant boost to the look and feel of your home or commercial place while keeping the costs down, so you don’t exceed your budget. Besides that, floral tiles are easy to clean and have impressive longevity. They improve your home’s beauty and require low maintenance to keep it at its best. In addition to all these benefits of floral tiles, they have excellent hypoallergenic benefits and have a great sight appeal. When you have an excellent flower tiles design with amazing floral tile splashbacks, you can think of it as pieces of art for the enhancement of your home’s décor. Every single flower tile has a distinctive appeal it adds to your living space. Once placed side by side in your kitchen, bathroom or swimming pool, these durable flower-themed tiles have the power to breathe new life into your living space. The true essence of floral tiles can be poppy designs for the bathroom. These Regis poppy tiles will lighten up your bathroom with the brilliant red and green of the flower meets the elegant white in the background. These antique floral tiles designs depict stunning and stylish looking flowers in patterns of diamond squares. The most popular tile designs are decorated with ‘lily’ patterns in the corner with each plant having three flowers of the same type. However, if you look closely, you will find minute variations. You simply cannot go wrong with rose designs. You can find lots of rose tile designs in a variety of colour and style to choose from. These can be used for both rural homes as well as vintage-style home décor. These amazing ornamental flower designs include tulips, a classy choice that looks stunning on any indoor room be it a bathroom, kitchen, or any other. These highly decorative floral tile designs are suitable for any projects and will look amazing even if used in larger quantities. To ensure we preserve our reputation for quality, we individually printed and hand-decorate all of our tiles. The tiles are ceramic, or porcelain and are suitable to be used for tiling the walls or floors of any room including kitchen splashback, bathrooms, wet rooms, shower rooms, porches, conservatories, pools, etc. Our decorative floral tiles are available in the standard dimensions of tiles found in most tile shops in the UK. Our floral tiles differ from standard tiles with their beautiful, permanent, floral designs or flower themed tiles are known for. If you scatter our decorative tiles amongst plain tiles of the same dimension, you’ll complete your wall effortlessly and have a beautiful floral display. Whether you have a garden or not, we can help you create a beautiful, low-maintenance, floral display inside or outside your home. Unlike a natural garden, the seasons don’t affect the design in your home; your ceramic flower tiles stay natural all year round. Whether you’re looking to decorate your holiday home, guest bathroom, country cottage or just immerse yourself into the natural beauty of a garden, our nature-inspired floral tiles are the best for you. Are you a nature lover, gardener or someone into vintage and retro designs? What better way to decorate your home’s interior than with our unique tiles with images of flowers, fruits, etc.? Our vintage floral tiles are the perfect classic, timeless, traditional yet contemporary addition to any tiled wall and are the ideal shabby chic tiles choice for your shabby chic décor. Many of our designs have an authentic vintage look which is as a result of the antique illustration of flowers we infuse in them. One good thing about our flower tiles mural is that they never go out of fashion because they’ve been in existence since the time of the ancient Egyptians. If you prefer a less flowery tile, we have got a selection of fruit, berry, and herb themed tile designs that bring out a rare type of nature into your kitchen, bathroom or any other preferred room. Our models are numerous and include a selection of favourite kitchen garden herbs like thyme, mint, chives, bay, etc. and traditional garden fruits like apples, plums, berries, etc. We also have more muted coloured tiles which are alternative to flower tiles. Some of the designs in this category include trees like oak, beech, hazel, etc. All these designs are targeted at celebrating the timeless natural beauty of British forests, rivers, and woodlands. WHY BUY OUR FLORAL TILES? We offer custom flowers tile designs for you to choose from. With our tiles including different colours like red, pale pink, yellow, blue, orange, etc., you are sure to find the perfect floral tiles for your home. 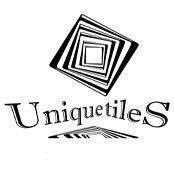 Our tiles can be used in several different designs; the more creative and daring you are, the more unique your wall will be. One thing is sure; no one will have a room that is the same as yours!Instead of a boring plain tiled wall, why not add a unique style, colour and lasting beauty to your home which will give you added pleasure and relaxation each day, for a long time to come.